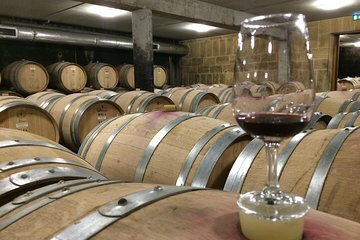 Discover the wines of the Northern Cotes du Rhone wine-growing region on a full-day, small-group tour. After a scenic drive from Lyon, start the experience with panoramic views in Vienne, and an introduction to the region’s many grape varietals. Next, stop at the birthplace of Syrah and visit the Cotes Rotie vineyards. Tour a winery, explore the barrel room, and taste three wines before stopping for lunch (own expense). Then visit two more wineries and taste over a dozen varietals. Visit Cotes Rotie vineyards and see the terraced slopes of "Cote Brune" and "Cote Blonde"